Galaxy View: How do I use the Stand on my Samsung Galaxy View? The Galaxy View portable design features a built-in handle and kickstand offering comfortable carrying and viewing options. 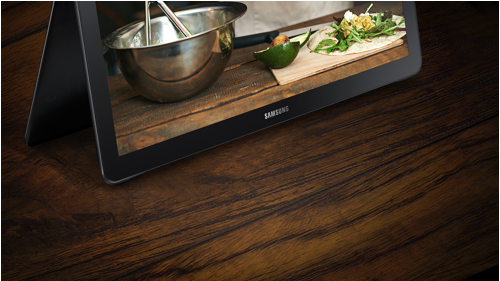 Use the Galaxy View’s built-in kickstand in TV-mode to watch the game while you grill, or stand upright into Lap-mode to read comfortably. Turn up your music’s volume while its powerful speakers provide serious sound. Its beautifully thin profile and handle on the back allows you to simply pick it up and take your TV-watching from the living room to the bedroom without missing a beat. Warning: Be careful not to get your fingers caught between the device and the stand. Always leave the stand attached to the device. 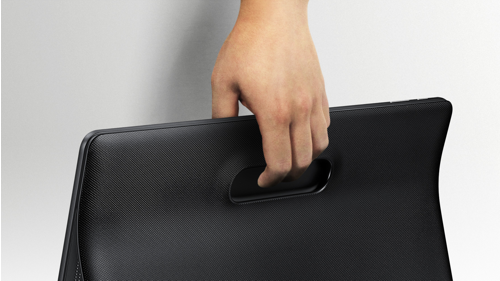 The built-in handle means you can move it anywhere in the house. Lean it back and read your favorite magazine. Stand it up to watch a video while cooking in the kitchen. 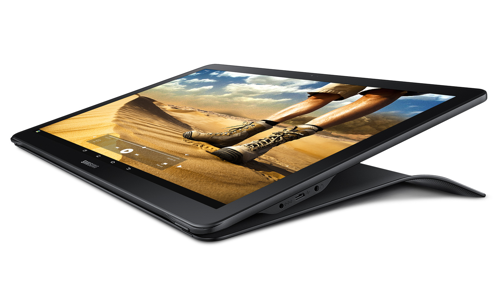 Galaxy View: How I format a microSD card on my Samsung Galaxy View? Galaxy View: How do I print wirelessly from my Samsung Galaxy View?